FMC GlobalSat is launching their comprehensive service for private maritime operators at the Palm Beach International Boat Show. The service — which bundles 4G wireless and satellite connectivity, hardware, software, and support services into a low-cost monthly fee — is targeted to yacht, sportfishing, and private charter operators. FMC GlobalSat’s platform provides seamless wireless roaming service in all ports of call without the need to switch SIM cards or register with a new carrier. The platform maintains 4G wireless and HTS connectivity at all times, and automatically switches traffic to the path with the strongest signal without any intervention. FMC GlobalSat’s 4G/LTSAT service includes all software, hardware, and network access in a single usage-based subscription model that is simple to use and cost-effective for many applications. The package includes the advanced Kymeta software-steered flat panel very small aperture terminal (VSAT) antenna for satellite communication, providing reliable and cost-effective connectivity. The system also includes the FMC GlobalSat Customer Portal application, which gives operators real-time access to essential information, including maps, weather information, fishing reports, and other data that impact safety, efficiency, and customer service. 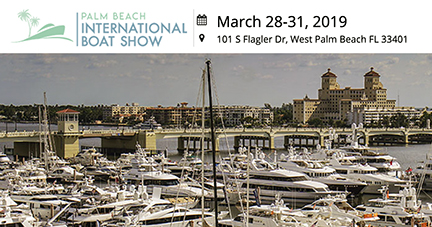 The Palm Beach International Boat Show is taking place along Flagler Drive in Palm Beach, Florida. FMC GlobalSat will be located at booth 934 throughout the show. 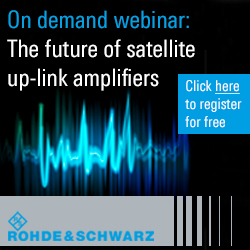 Emmanuel Cotrel, CEO, FMC GlobalSat, said for years, private marine operators were forced to cope with broadband technologies that were cumbersome, unreliable, expensive, and unsuited for their specific needs. The company's approach has been to create a service that is completely relevant to this industry. Instead of relying on expensive and heavy hardware, FMC GlobalSat has developed a package that weighs less than one hundred pounds, contains no moving parts and boasts a connection uptime well over 99 percent of the time. Most of all, the firm delivers the entire service to every customer on a subscription basis that provides much needed cost-certainty to a price-conscious industry.